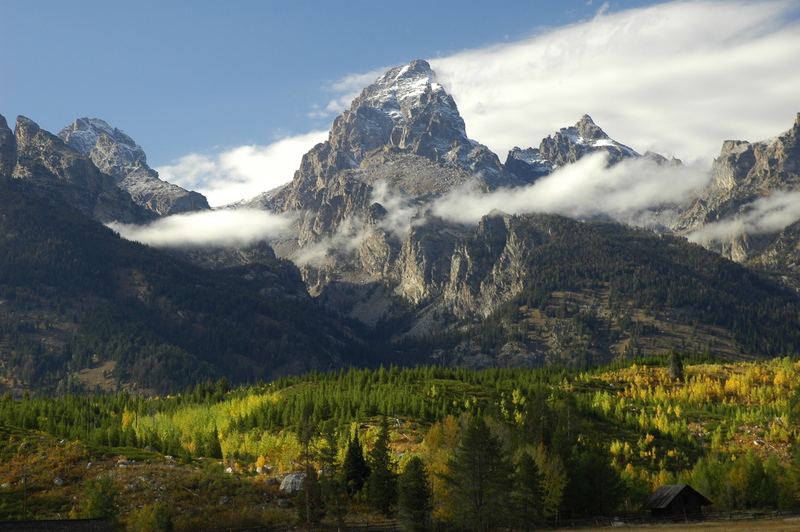 What's On Your Jackson Hole, WY Bucket List? The world’s most famous geyser still erupts about 20 times a day, anywhere from 90 seconds to five minutes at an average height of nearly 140 feet. 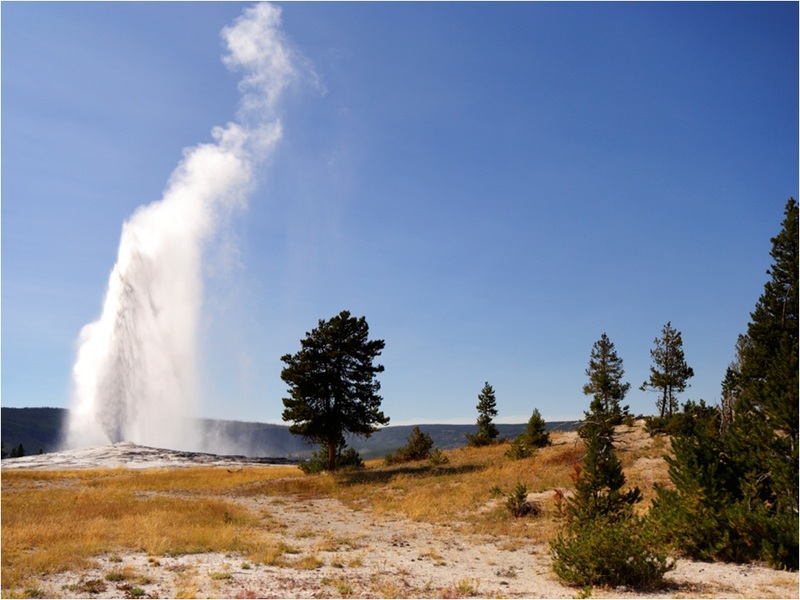 With water coming out of Old Faithful at 204 degrees Fahrenheit, just be sure not to confuse it with the world's largest water fountain! 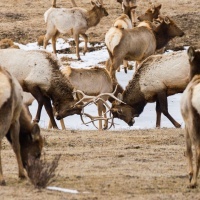 Once you’ve enjoyed the geyser’s one man Bellagio show the rest of Yellowstone has plenty to offer in the way of top-notch hiking wildlife, viewing, and camping as well. Maybe you consider yourself a dog lover or perhaps you’re more of a cat person, but have you ever wondered if you might be a bison person or a big horn sheep enthusiast? 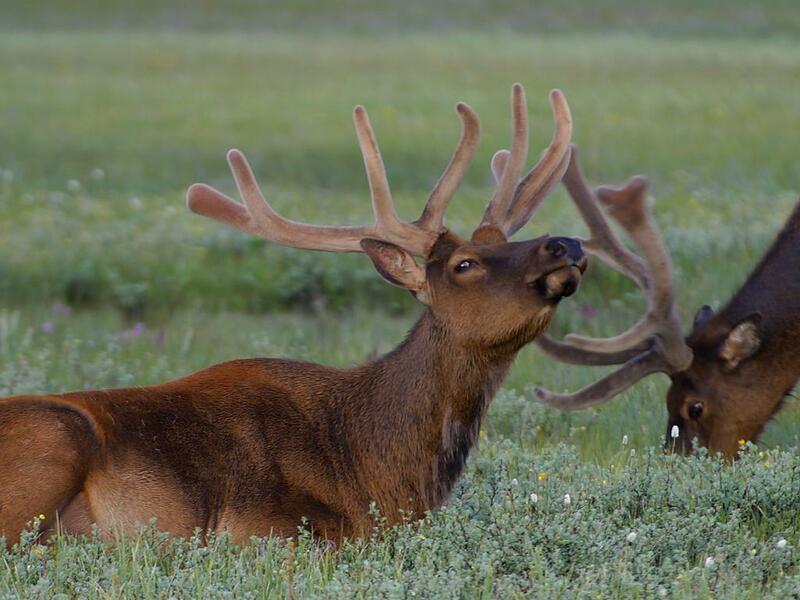 If you’ve never seen one of the incredible creatures indigenous to the greater Jackson Hole area, then what are you waiting for? Crane your neck to watch a bald eagle soar, marvel at the size of the elk, and watch for moose! 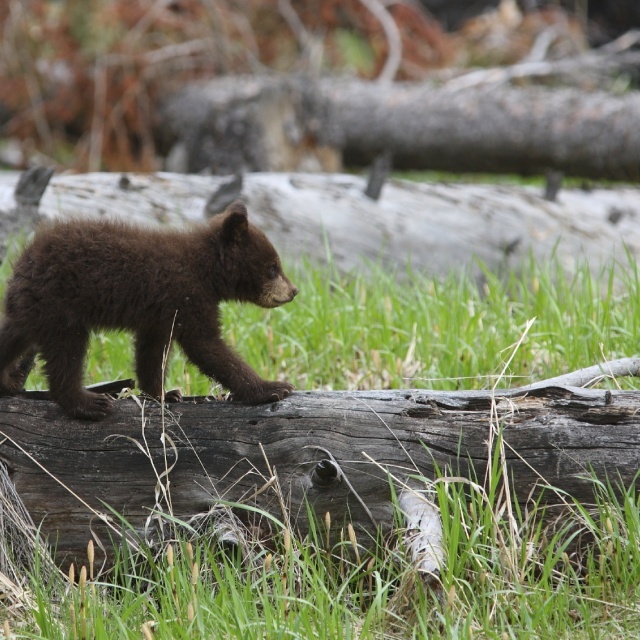 Guided wildlife tours are available year round and take you through Jackson Hole’s many wilderness areas as well as Grand Teton and Yellowstone National Park. The famed mountain range of Grand Teton National Park towers on the horizon 7,000 feet above the Jackson Hole valley. The Teton Range consists of a sprawling variety of plant and animal life, some of which date back prior to the dawn of humanity, preserved in a dreamlike ecosystem. Come fish the rivers, scale the mountains, and hike the trails of a place so glorious you might just question if you’re still on Earth. Is flying the best superpower to have? Stop dreaming about having superpowers and start living your dreams. Visiting Jackson Hole won’t give you superpowers but, thankfully, there’s the option to paraglide with views of the Tetons and Snake River Range. Fly at your own level of expertise, in tandem at first until you’re ready to go solo. Instructors will make sure you’re ready to fly, giving you the knowledge and preparation you need to be safe. Guests are welcome to take the glider up many times throughout the day once they feel confident. The Aerial Tram is like a spy cam mounted on the head of an eagle. Riding on the Aerial Tram affords views of the entire valley, giving riders a 360-degree eyeful as they climb 4,139 feet in less than ten minutes. Make sure to save space on your camera and save some extra breath because yours will be taken away. 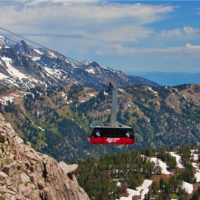 The tram provides easy access to Jackson Hole Mountain Resort’s terrain for endless hiking in the summer and skiing in the winter. 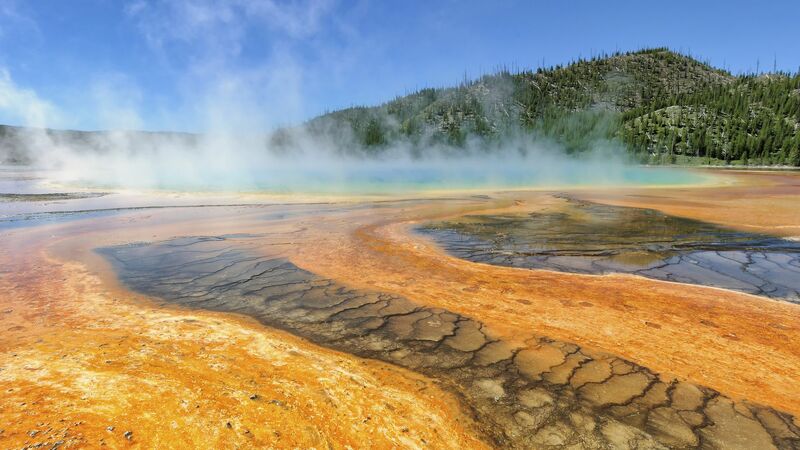 Did you know that Yellowstone’s Grand Prismatic Springs is the most photographed feature in the park? Displaying bright crisp colors that change depending on season and temperature, the springs runs deeper into the ground than a ten-story building. Walk the boardwalk out to the springs to experience the beauty for yourself. There’s truly nothing else like it in the world. Initially deemed the “Mad River” by early explorers, the Snake River offers class I-III rapids and float tours in a pristine setting surrounded by wildlife. Visitors can take in an afternoon in Snake River Canyon either at a leisurely pace, floating along the river’s upper section over flat water, or get their adrenaline pumping on the rapids. Special packages are available for group raft trips, so check whitewater rafting off your list. You’d be mad not to take on the whitewater of Snake River! Let your imagination unfurl as you take a picturesque trail ride surrounded by gorgeous mountain views. Highly experienced guides will enhance your ride with details about the local wildlife and environment. By the end of the trip you’ll feel as if you were born on four legs. Trips from one hour to a full day are available along with multi-day equine excursions for the truly adventurous. 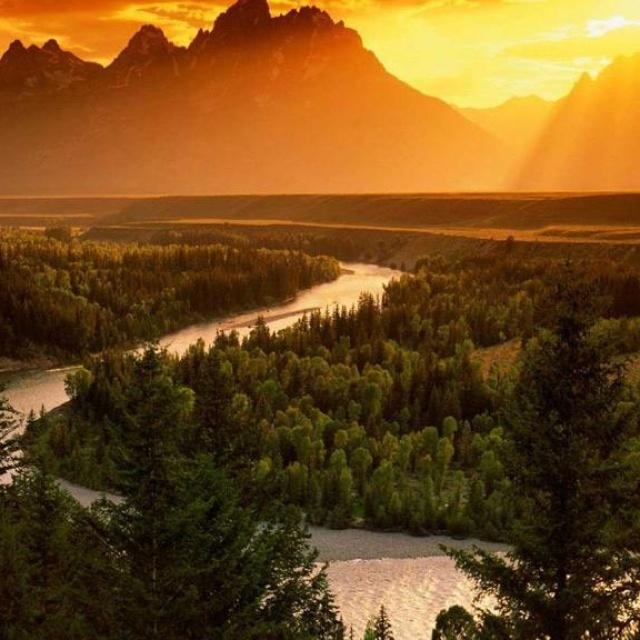 Cast your rod and line over the Snake River, slithering through the valley at 6,069 to 6,779 feet above sea level. 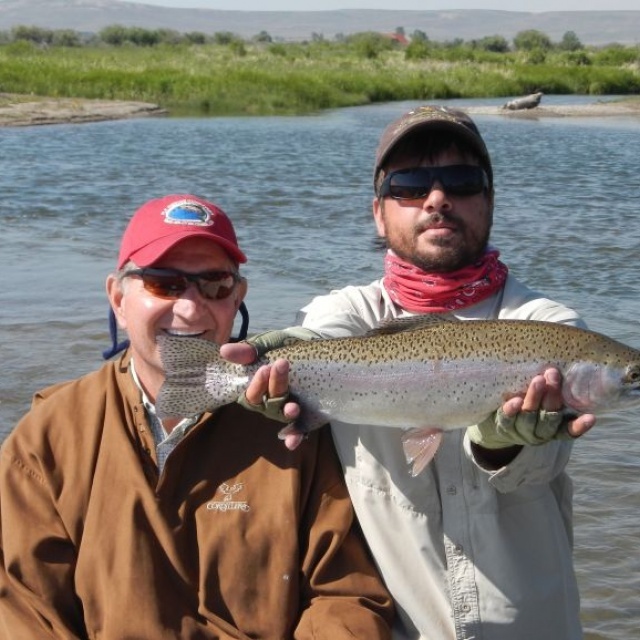 Tributaries such as Flat Creek and the Gros Ventre River feed into the valley as well for a larger variety of catches to reel in. Fishing trips will be granted access to fish over 70 miles of the main river, which is a lot of room to grab yourself a trout to boast about on your social media feed. Start checking items off of your bucket list today. 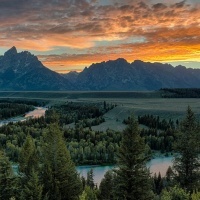 Talk with one of our friendly travel experts about the perfect Jackson Hole getaway. We can help you save on lodging, activities, and transportation. Call us at (888) 838-6606 to start planning.